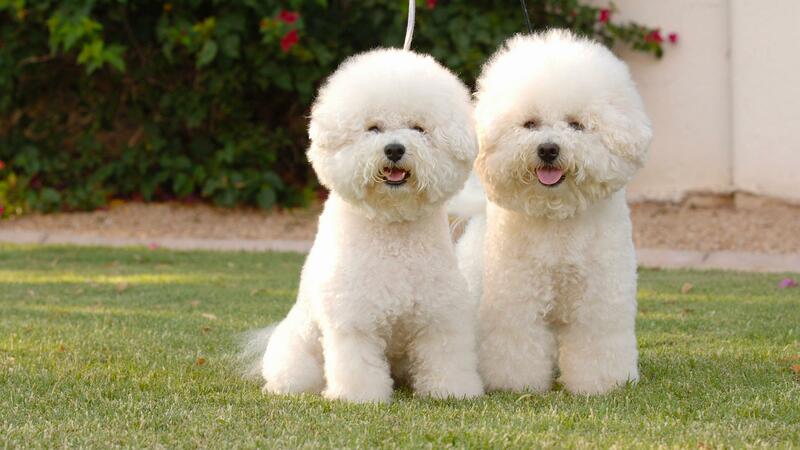 If you suffer from allergies associated with dogs, you’ve probably heard that a poodle is your best bet for a pet. Not into poodles? No problem! We’ve got a roundup of hypoallergenic dog breeds that won’t leave you sneezing and wheezing. Put your tissues away and wrap your arms around one of these cuddly pups. The Bedlington may look like a little lamb, but this lively terrier needs plenty of exercise and can become willful if you don’t establish you’re the alpha pack leader. Though this furry friend doesn’t shed much, its coat needs to be thinned and clipped regularly. The Xolo is a handsome canine that comes hairless or coated; the hairless is a better choice for allergy sufferers. This hypoallergenic dog also comes in three sizes: toy, miniature, and standard, giving you the ability to get a pup that fits your home and personal desires. You can’t help but smile when you set eyes on the “hairless” variety of the Chinese Crested. With puffs of hair on its feet, head and tail, this lovey dog is very clean with no odor and isn’t prone to fleas. This medium-sized canine has a reputation for making people laugh with its playful antics and trainability. The Kerry doesn’t shed much, and when well groomed, is odorless even when wet. A water-loving pup, the Portuguese water dog is affectionate, pleasant-tempered and eager to please. Be sure you have the time and energy to keep this canine well-exercised or you may end up with an excessive chewer or barker. If you love big dogs and being around water or hunting, the Irish water spaniel may be the perfect pup for you. Intelligent, high-spirited and loyal, this hypoallergenic dog sheds little to no hair but does require regular grooming because its curly coat is prone to mat easily. The schnauzer ranges in sizes from under 7 pounds (teacup) to up to 80 pounds (giant), giving you the ability to find the right-sized dog for your family. This proud-looking playful canine has a wiry coat that sheds very little but does require brushing to avoid matting. An affectionate little fur ball, the Bichon surprisingly doesn’t shed much yet does require frequent bathing and grooming. This hypoallergenic dog is naturally social and craves being cuddled and doted on. The Maltese is a highly intelligent pup that is very devoted to its owner. It’s a classic companion dog that is ideal for allergy sufferers, especially those who live in small homes or apartments. Strong, spirited and friendly, the Wheaten is good with children and makes a great watchdog. Its low-shed coat needs daily attention and looks best when you use a comb rather than a brush. Important Note: Allergic reactions to dogs are triggered by a canine’s dander (skin flakes), drool and urine. Since every dog has these allergens, there is no truly hypoallergenic dog. The dog breeds in our roundup produce the least amount of dander and tend not to drool, making them less likely to trigger an allergic reaction. When considering a pawed pal, be sure to spend time with it before you bring it home to make sure it doesn’t cause an allergy flare-up.